Yesterday, an update was pushed out to the AccuWeather for Android app, bringing a completely redone UI for both smartphones and tablets. On top of a spanking new UI, multi-location widgets have been added, users are given the ability to create custom forecasts, and push notifications for severe weather warnings are a go for tablets. Completely redesigned for tablets and phones, with landscape & portrait modes. 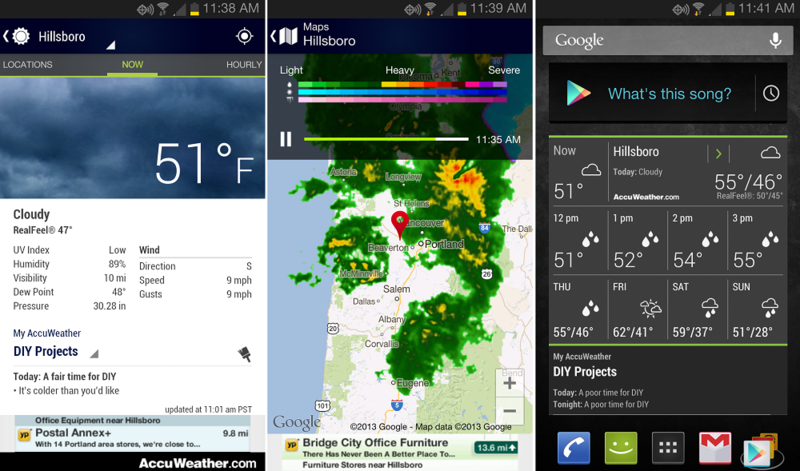 Multi-location, resizable widgets with more detail. Pushed severe weather notices for tablets. European radar and a snapshot view for your saved locations. I will say, the ads in the free version are pretty darn annoying. If you don’t like them either, you can pick up a paid version on sale for $1.